Do you want to put a little extra “spring” into your Bible time with your kids? Find 10 super spring-y ideas here! Spring is finally here! I love springtime – the greening of the grass, the warming of the temperatures, the promise of new life after a cold, long winter. There are so many great activities that can be done with kids during this season, and so many wonderful Biblical applications that can be made. 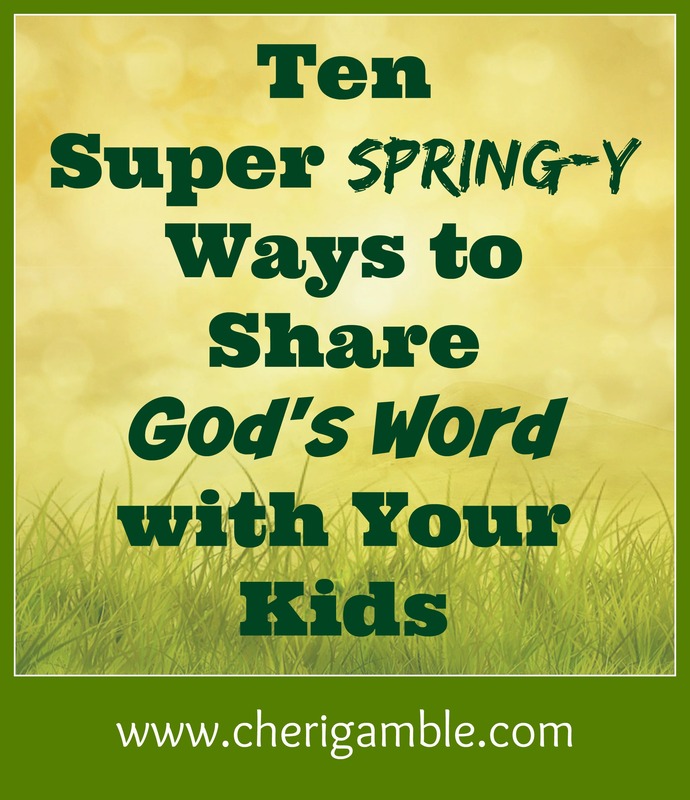 Following is a list of 10 super springy ways to share God’s Word with your kids this season. 1. We need to Grow as A Christian. The Activity: Plant something with your child – something that will grow and grow and grow! My favorite thing to plant for this object lesson is a sunflower seed – one of those big ones that will grow much taller than your child. Help your child plant it in the ground and water it. Give him the job of watering it on a regular basis and pulling the weeds that might come along. As it grows, talk with him about the similarities between the way the sunflower grows and the way we grow in Christ. The Application: Just as the sunflower needs good ground, we need a good foundation in Christ. Just as the sunflower needs to be watered, we need to read the word of God. Just as the sunflower needs to have weeds pulled from around it, we need to keep ourselves from evil. Just as the sunflower grows up high in the sky and shows the world its beauty, we need to show the beauty of Christ to all around us. 2. Give your worries to the Lord! The Bible Lesson: Read Matthew 6:25-34. Talk with your child about the passage you just read together. Ask: What types of things do you worry about on a regular basis? Did you know that God knows what we worry about and that He cares about each one! He loves you and will take care of you! Have your child write down several of the things he worries about (or do this as a family and write down your family concerns.) After you have written them down, spend time praying for them. Ask God to help you give your worries over to Him! The Activity: This is an activity that will help you care for some of God’s creatures while also reminding you to give your worries over to God. Help your child collect several items which a bird could use to build its nest (such as pieces of string, tiny bits of cloth, old newspaper, etc). Hang the items you gather on a nearby tree or in another location that a bird can easily reach. Secure them enough so they don’t blow away, but make it so that the birds can easily take what they want. 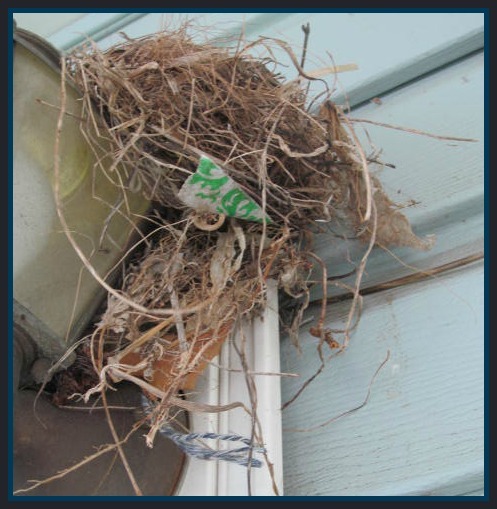 Then wait and see if any birds use your items for their nests! The items stand for your worries, and the birds remind us that God can take our worries away. The Application: When we give our worries over to God, He will take them from us . . . and sometimes He will even use those situations we worried about to create something brand new! How exciting it was for us to see that the birds that made their nest on our porch light used part of our 4 year old’s blue blankie! 3. God can Use YOU to help others! The Bible Lesson: This activity also uses Matthew 6:25-34, but approaches it in a slightly different way. Read the Scripture with your child again. Then discuss how much God takes care of His creatures. Say: How does God take care of the birds? Does God ever use other people to take care of the birds? How? We can help the birds by giving them an easy place to find food . . . such as a birdfeeder! 4. Satan Wants to Hurt All Who Follow Jesus. The Bible Lesson: Read 1 Peter 5:8-9. Discuss with your child how we have a very real enemy. Say: This enemy wants to destroy us. He doesn’t want anyone to come to Jesus, and he wants to hurt all who do. We can see this happening in our world every day. The Activity: I had to include this here because, if your neighborhood is like our neighborhood, the instant you hang up a bird feeder you will have squirrels trying to eat from it. We have a squirrel that comes back year after year, climbing our feeder and eating the food we set out for the birds. 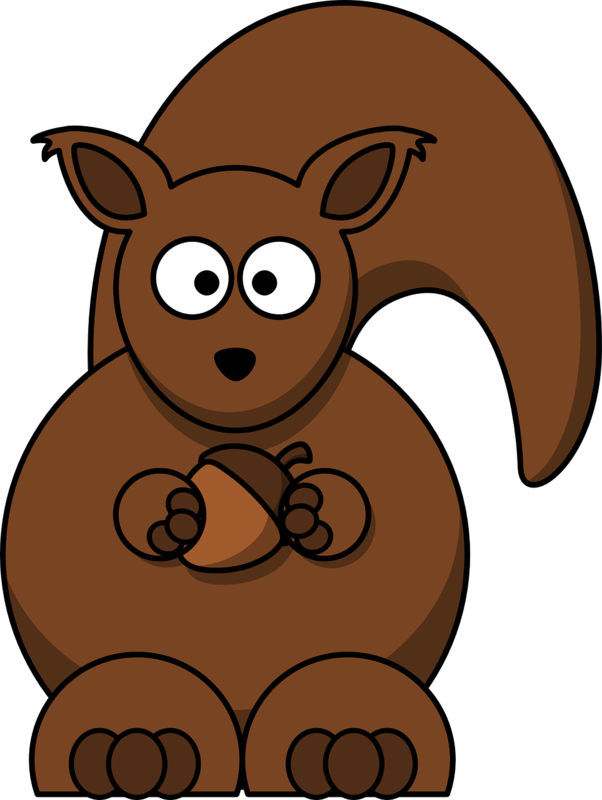 Why not take advantage of the pesky squirrels and tie them in to the object lesson? The next time you see a squirrel at the feeder, remind your child that we have an enemy who prowls around like a roaring lion, looking for someone to devour . . . The Application: Resist the devil! Don’t give up your faith! Keep feeding the birds – even if the squirrel gets in the way! 5. God Can Make Us Clean Again! The Bible Lesson: Read 1 John 1:9 to your child. Say: This verse promises that, if we confess our sins, God will purify us. He will take away the sins and make us clean again! Talk with your child about the sins that he struggles with in his life. What is it that makes it hard for him to obey God? When we sin, our heart becomes stained and ugly . . . and it is impossible for us to take away that sin by ourselves. We need God’s forgiveness. 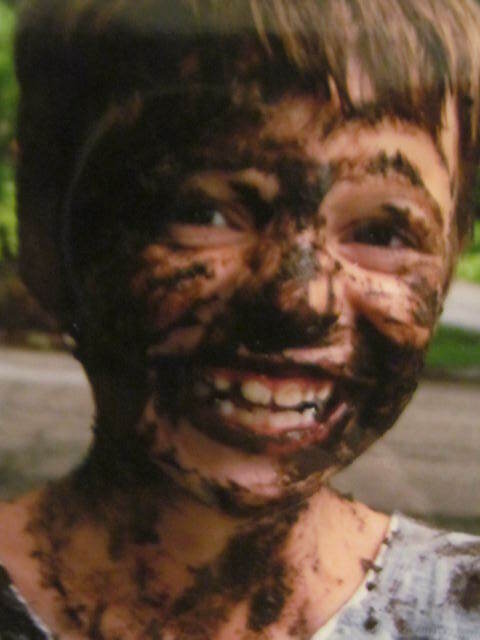 The Application: You had a lot of fun playing in the mud, but it made you pretty messy and you needed my help to get yourself totally clean again. In the same way, sin can seem pretty fun. We want to “play in it”, but it ends up making us dirty, and the only way we can get clean again is with God’s help. The blood of Jesus Christ cleanses us from all sin! NOTE: Be sure to take pictures of the mud playing fun! 6. Every Good and Perfect Gift is From God – It’s As If He “Pours” Down the Blessings Into Our Lives! The Bible Lesson: Read James 1:17 with your child. Talk about all the blessings that God has given to you. How has He blessed you this past year, month, week, day? Make a list with your child of all the ways the Lord has blessed you. 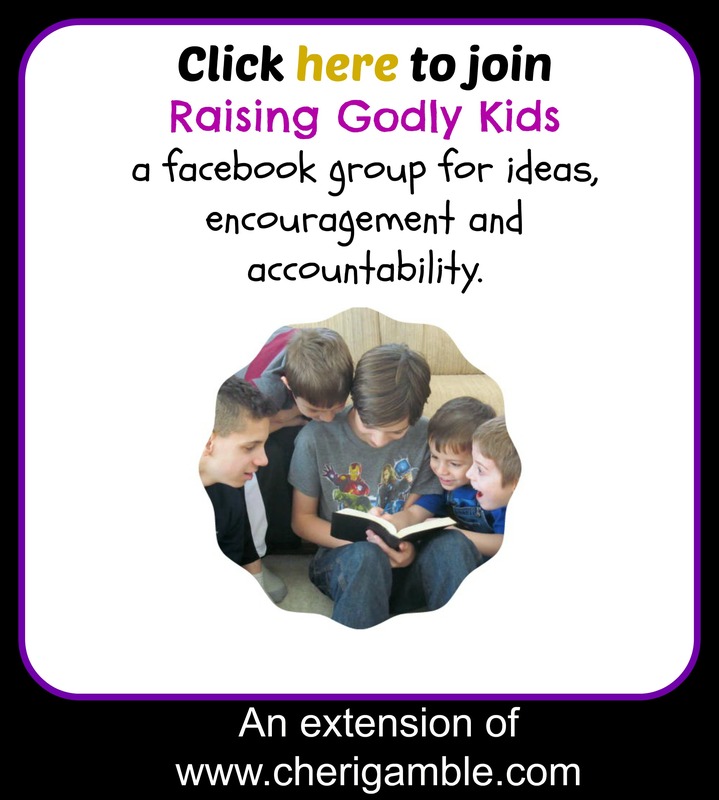 The Activity: It rains in the spring a lot, so why not take advantage of the rain while making a Bible connection that will stay with your child forever. The next time you have a warm, spring rain (without lightning), let your child go outside and play in it! As he is playing, have him shout out ways that God has blessed him . . . remind him that God has poured out the blessings in his life, just like the rain is pouring outside! When he comes in soaked, remind him how he can soak up God’s blessings and love! A Second Activity: After your child comes in and dries off, let him decorate an umbrella or rain poncho with ways that God has blessed him. Then, the next time it rains, he can be reminded of this activity all over again – and of the ways the Lord has blessed him! 7. God Can Help You SOAR! The Bible Lesson: Take your child outside for a nice spring workout! Have him run a certain distance as fast as he can. Have him keep doing this to see if he can go any faster. How fast can he get his time? How tired is he? As he is resting, talk about how fast he ran, yet he still became tired. Say; We can become tired in our Christian walk, too. We can feel the stress of the world around us and it makes us sad and makes us lose strength. But God promises that He will renew our strength. In fact, with God’s help, we can SOAR! Read Isaiah 40:28-31 with your child. What does this say about soaring? The Application: Things that happen in life can be quite challenging and tire us out. Sometimes we might even feel like giving up. But God can help us through any struggle that we have. Not only will He help us run, He will help us SOAR! 8. Jesus is the Only Way to Heaven. The Bible Lesson: Read John 14:6. Say: What did Jesus say about Himself in these verses? Jesus said that He is the only way to the Father. This is a lesson that many people today do not want to hear, but it is still true. Every other religion and every other attempt at salvation misses the mark completely. Jesus is the only way. 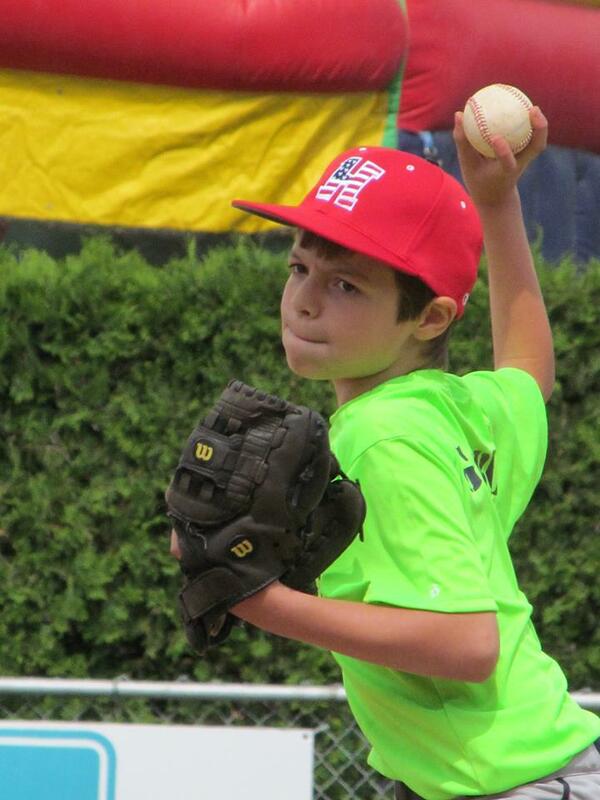 The Activity: Baseball is a favorite spring activity at our house, so much so that we practically go crazy with the different baseball schedules! (This year we have 5 different boys playing on 5 different baseball teams. Yikes!!!) Because of this, I simply had to include baseball activities in this list. Here is a simple, yet fun, way to help apply John 14:6 using baseball. Give your child a bucket of baseballs and a target that he will be unable to reach. Have him see how close he can get to that target by 1) throwing the ball, and 2) hitting the ball with his bat. When he consistently misses the target, say: I don’t understand, why couldn’t you hit the target? The Application: This target was impossible to reach on your own. The only way you could possibly reach it is if you had help. In the same way, heaven is impossible to attain on our own. The only way we can reach heaven is with help . . . and that help comes from Jesus! He took the punishment for our sins and, when we accept Him, we know that we can reach the target – heaven. 9. Every Christian is a Part of the Body of Christ, and Together, We Can Do Great Things! The Bible Lesson: Read 1 Corinthians 12:12-26. Talk with your child about how every Christian is a part of the body of Christ. Not every Christian looks the same, talks the same, dresses the same, or likes the same music, but every Christian is still part of the same body and every Christian is important. Sometimes we forget that the body of Christ is made up of Christians from all over. We spend so much time with our own group of Christians that we forget about the other groups that are out there. The Application: When we work together, we can accomplish great things for God! Bonus Activity: Use “grown up” foods from your seeds to make a yummy salad or meal . . . you can continue the application by pointing out to your child how bland a meal would be if we only ate one type of food. By eating all the different types of foods together, we get a balanced, delicious meal. EVERY CHRISTIAN is important to the Kingdom of God! 10. God Wants Us to Serve Others! The Bible Lesson: Read John 13:5-17. Look at each other’s feet. Are they pretty dirty? Say: Back in Bible days, feet got really, really dirty. Cleaning the feet was a stinky, yucky job – one that was reserved for the lowest among them – the servant. Jesus, however, took the task of cleaning his disciples’ feet on Himself. He set an example of service . . . one that we need to continue today! The Activity: Take your child on a service trip around your neighborhood. When spring begins, trash is often present where the snow piles used to be. Give your child a plastic bag and help him pick up this trash in his neighborhood or community. You might also want to take him to a local park for some clean up work. The Application: As you work together, remind him that being a servant can sometimes be unpleasant, but, if Jesus was willing to wash His disciples’ feet, we should be willing to pick up trash in our neighborhood! Have a fantastic spring, and don’t forget to keep being intentional as you raise godly kids! Wow! This is a very comprehensive post! I pinned it on like 10 of my boards. Thank you for taking the time to write this and think of these activities. These have inspired me to think outside of the box when it comes to raising my daughter in the truth. Seems like you are really abiding in the truth! WOW!! Have you been reading my mind?? 🙂 I am the only Christian in my house and God has been convicting me that I’ve not been doing enough. So I buckled down after my pastor preached about gratitude on Sunday, found verses – and have EXACTLY been teaching the kids #6!! Thanks so much for these great ideas, I’m not that crafty but I will incorporate some of these things. Thank you!!! Good application of scripture to activities that will further children’s understanding of Christ. Very creative and useful. I love this list, some very fun creative things to do! So these were all activities I had planned on doing with the kids, but thank you for the Bible study and to go along with it now! I love how you take everyday activities and apply God’s Word to the children’s lives. This took a lot of work to put together. Thanks for your hard work. Wow, this is a really nice list for helping get God’s Word into the kids. Thanks for bringing it down to a very applicable level! I love this! As a homeschooler, I am always looking for new ideas. We live in Michigan and are so excited for spring! Thank you so much for sharing.